Carrianne Mahoney, a woman suffering from polycystic ovarian syndrome, uttered these words in March after she and other patients were notified that a system malfunction at Cleveland’s University Hospitals Fertility Clinic lost over 4,000 eggs and embryos. More than 100 grieving couples, many of whom are cancer survivors or struggle with infertility, have filed lawsuits against the clinic. This incident highlights the fragility of embryo storage—thousands of lives can be destroyed in an instant by technological failures or mere human error. Moreover, the story is a reminder that freezing them creates problems that do not provide easy solutions. If parents achieve a pregnancy using assisted reproductive technologies such as IVF, they must then face the moral dilemma of what to do with the remaining embryos (often referred to as “the disposition decision”) —something that is often overlooked during the initial process of trying to conceive. Fixated on the IVF procedure itself, parents are assured that given the uncertainty of becoming pregnant, extra embryos may be utilized in the future. Afterward, many couples navigate the disposition decision by simply avoiding the subject. The remaining embryos’ survival hinges on parents’ willingness to pay both the storage fees needed to preserve them in liquid nitrogen-filled tanks and the embryologists tasked with monitoring temperatures and maintaining storage units. And as the financial pressure increases, they must make decisions that present numerous ethical challenges. These data indicate that in the short-term many fertility patients do not consider their disposition options prior to having children and therefore struggle to make decisions about the embryos that are left behind. Some may contend they were unaware of the regulations enforced by fertility clinics prior to their embryos’ storage and argue that societal, financial, or even familial pressure caused them to make swift reproductive health decisions. Many couples, citing a moral responsibility for their embryos, choose instead to pay the monthly storage fees for unspecified lengths of time. Others decide to have their embryos thawed and discarded with the clinic’s biohazard waste or implant them when a woman is unlikely to become pregnant. The decision to dispose of them, however, may not always be their choice—fertility clinics sometimes opt to destroy surplus embryos if parents move elsewhere and cannot be contacted. As embryo adoption becomes more normalized, agencies may work with fertility clinics to promote the increased production of extra embryos by citing a “greater demand” by prospective parents. The numerous ethical questions posed by freezing embryos are further complicated by the legal challenges that inevitably result. Absent parents can sue physicians for discarding embryos without their consent—a possibility that has prompted many fertility clinics to clarify procedures in their contracts and have patients sign cryo-preservation consent forms. If one or both parents die, stipulations must be included in wills, with inheritors “owning” the rights to any remaining embryos. 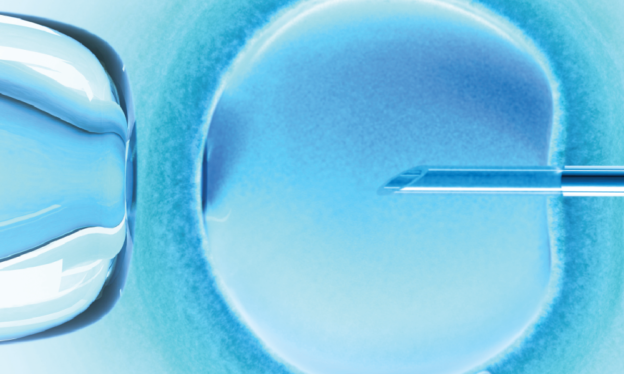 Legal battles arise when couples divorce or separate, inciting some to sue their ex-partner for the right to procreate—or not to procreate—with the embryos they stored years ago. In the case of Szafranski v. Dunston, the Illinois Appellate Court awarded Karla Dunston sole custody of three frozen embryos she had created with ex-boyfriend Jacob Szafranski, arguing that “her interests competed over Jacob’s prevailing interests.” Following cancer treatments in 2009 that left her infertile, Dunston successfully argued that those embryos represented her only opportunity to have biological children. Courts that favor awarding custody to those inclined to implant their embryos, however, are not the norm. Others have demonstrated a tendency to side with the parent who is not willing to carry the embryos to term, citing concerns about “forced parenthood” and awarding custody to the party interested in parenting only if he or she cannot have children by other means. Moreover, the legality of previous contracts may be rejected in favor of balancing parties’ parental rights. In recent news, Brooklyn resident Kevin Heldt sued his former girlfriend Illissa Watnik over the four embryos they have stored at Reproductive Medicine Associates of New York. Despite having previously signed agreements allowing Watnik to use the embryos “for any purpose, including attempting to establish a pregnancy,” Heldt now argues that his “right not to be a father” must be protected. Without a legal consensus on these matters, the survival of frozen embryos often depends on whether state laws recognize them as persons afforded the same constitutional rights enjoyed by other human beings. Currently, Louisiana describes an embryo as “an in vitro fertilized human ovum, with certain rights granted by law,” as well as a “juridical person” and “biological human being.” Moreover, two states—Missouri and Kansas—state that life begins at conception, a recognition that may provide certain protections to frozen embryos during legal disputes. Other states may soon follow suit: a right to life constitutional amendment upholding “the sanctity of unborn life and the rights of unborn children” will be on Alabama’s ballot on November 6, 2018. But despite these “personhood” measures, the lack of legal unanimity on this issue remains. By commodifying embryos, the medical community and our legal system have opened a Pandora’s box of problematic solutions that fails to offer adequate protections. While IVF has been lauded by many as the answer to infertility, the thousands of other lives it has created continue to hang in the balance.